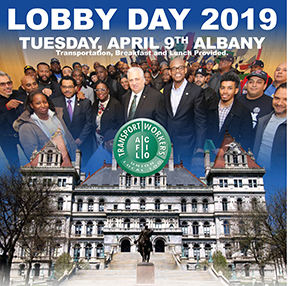 Join your Sisters and Brothers as we head to Albany to make our presence known to the legislature and advance Local 100's agenda. Transportation, breakfast, and lunch provided to all members who attend. Click here for our flyer -- register and fax back.